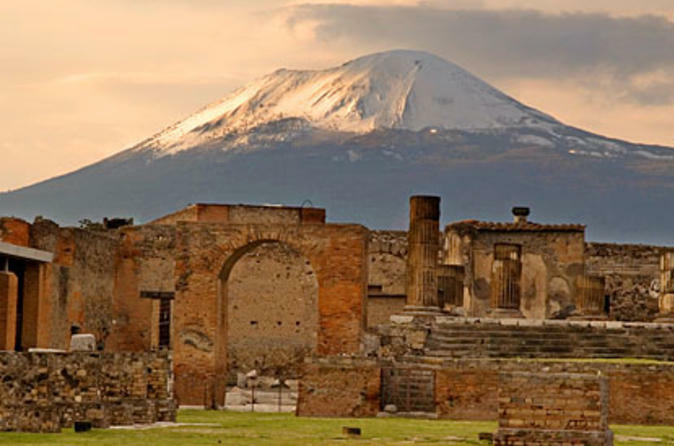 This is the town of Pompeii. It's pretty famous. In 79 AD, Mt. 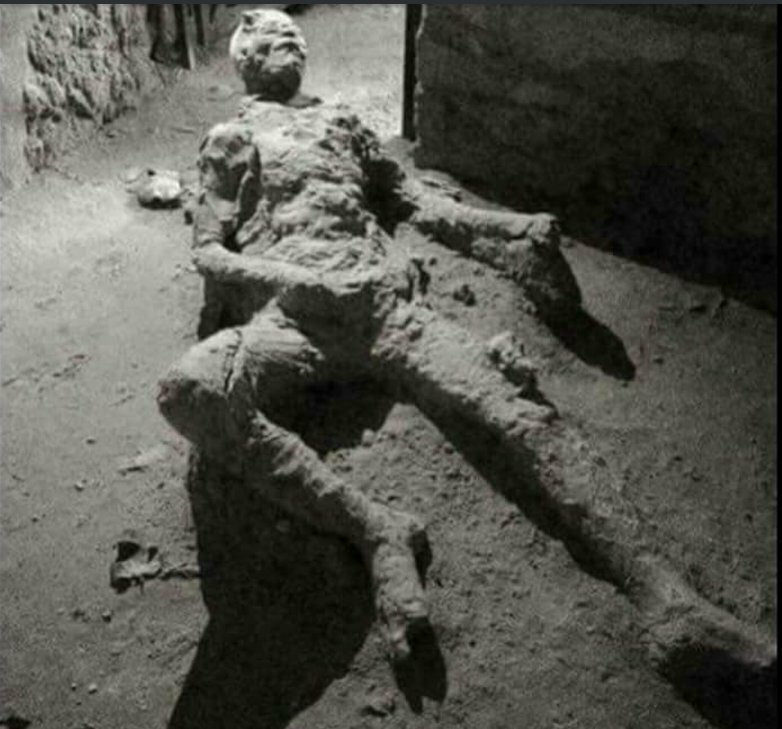 Vesuvius erupted, killing the entire town. 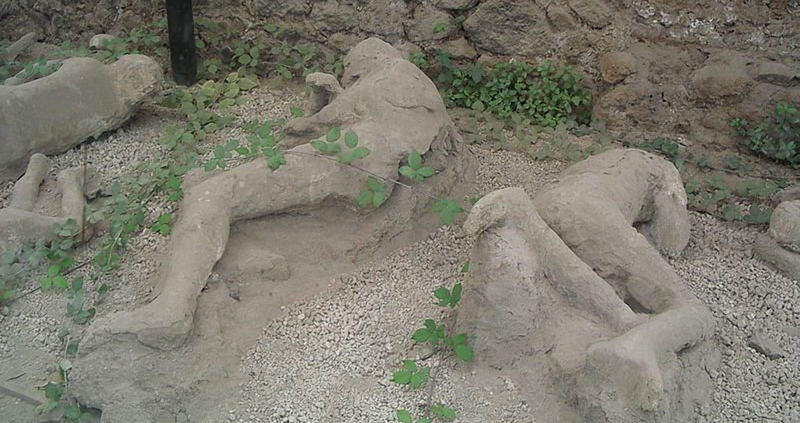 However, its ash perfectly preserved victims' bodies in the very position that they were in, making the town a hugely popular tourist destination. Most of the preserved bodies can be found crouching or lying down positions... except one very, very unfortunate man. To be fair to the guy, he probably wasn't expecting a fatal volcano explosion and was probably enjoying the only peace and quiet he'd had all week. He died holding his loved ones. He was an early socialist. He seized the means of production. Seize the means of REproduction, perhaps? Talk about fiddlin while Rome burns. Death came faster than him.